Ny’Kerria Virgin always harbored an interest in the health care field. On Friday, the West Florida High senior may have just discovered her calling. Virgin was among the more than 500 high school and GED students from five counties to attend the health career fair. Students rotated through 14 health career opportunities including physical therapy assisting, radiography, phlebotomy, pharmacy, nursing, EMT, sonography and dental hygiene. 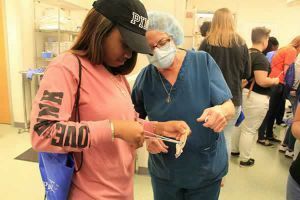 Sponsored by Pensacola State and West Florida Area Health Education Centers, the event provided a first-hand look at health career options for students from Escambia, Santa Rosa, Walton and Okaloosa counties as well as Baldwin County, Alabama. Vivian Howard, Moore’s mother, also attended the health career fair and said she wants to work in direct patient care. 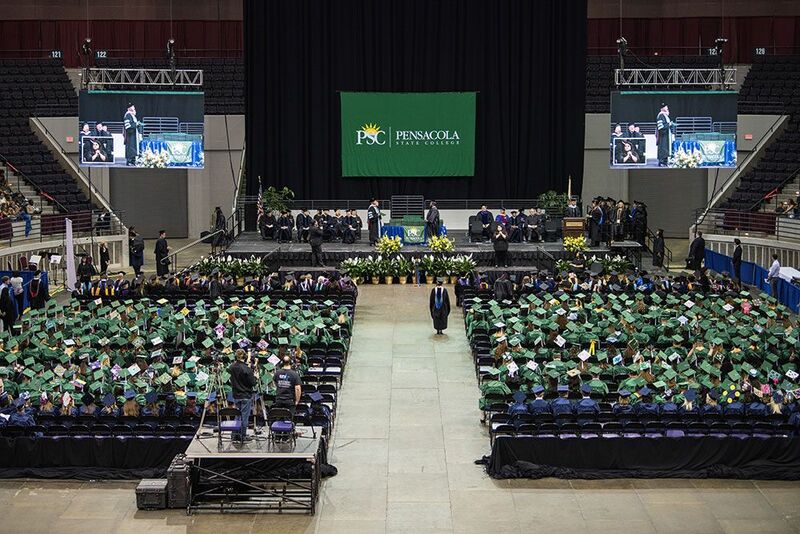 “I want to become an LPN, and after seeing everything here today, I’m thinking Pensacola State may be the college for me,” said Howard, who was a certified nursing assistant before moving to Florida several years ago. The health career fair was held from 9:30 a.m.-1:30 p.m. and LifeGuard 1 Helicopter also was on-site for the students to explore. Jennifer Ponson, Warrington Coordinator of Student and Program Outreach, said the health career fair gives these students an opportunity to speak with college instructors about the programs that interest them.